Being located along the Adriatic coast on the Mediterranean has its perks. 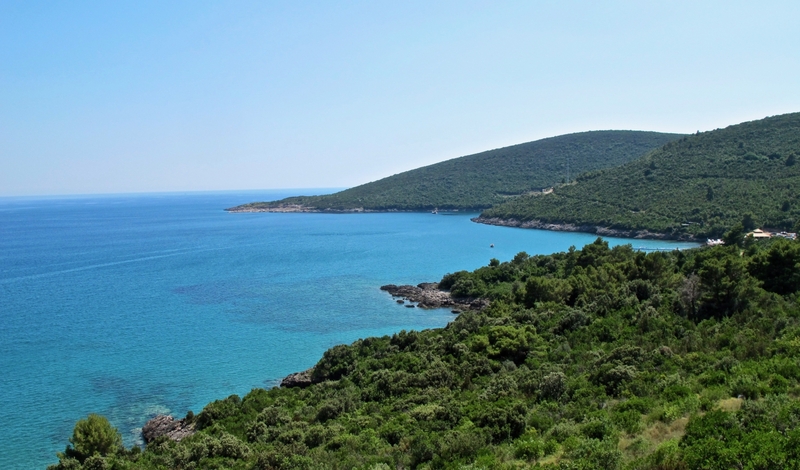 Montenegro, with a total of 117 beaches scaling over 294 km long coast, tells it all! This coast regularly draws hordes of tourists from all over Europe. 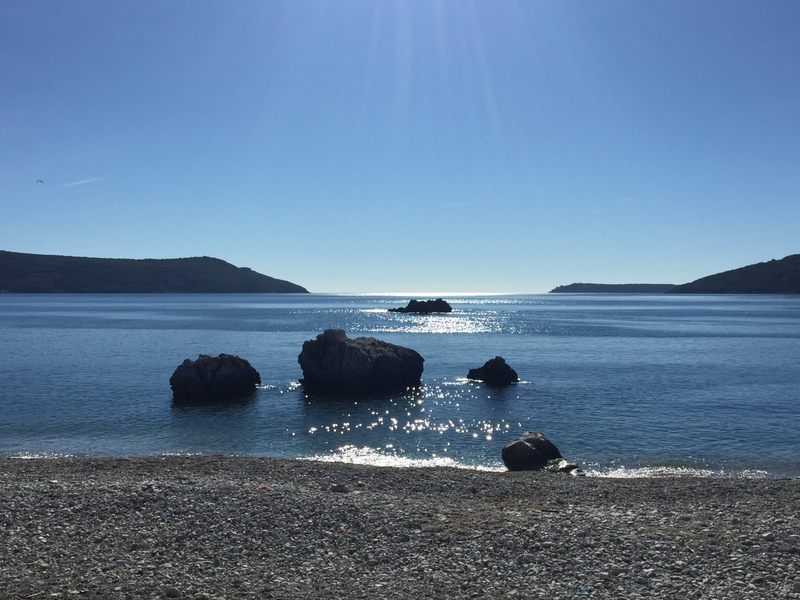 Montenegrin beaches are various: from pebbles and docks in the Bay of Kotor, through sandy Budva and Bar beaches and long ocean-like wild beaches of Ulcinj Riviera, but also amazing lake beaches located in the central and north Montenegro. Our team has worked on the list of the best ones, to make it easier for all of you that are visiting our country! Let’s start with Budva Riviera! 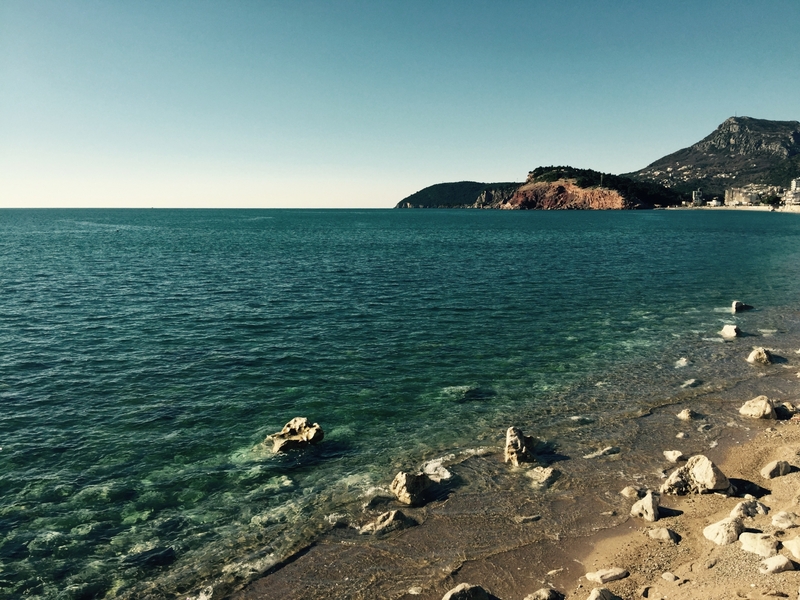 One important thing to keep in mind about Budva beaches is that they are so popular they usually get overcrowded. But there is something for everyone, so read the recommendations below. 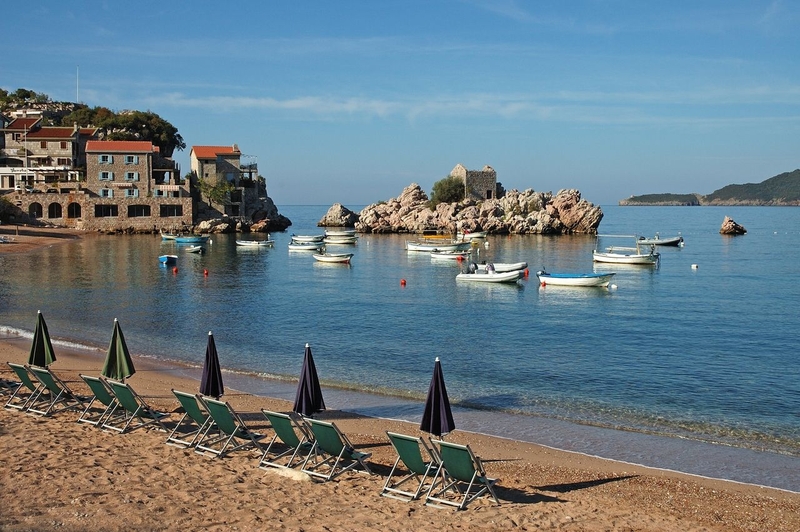 One of the first beaches that tourists check out is Sveti Stefan. 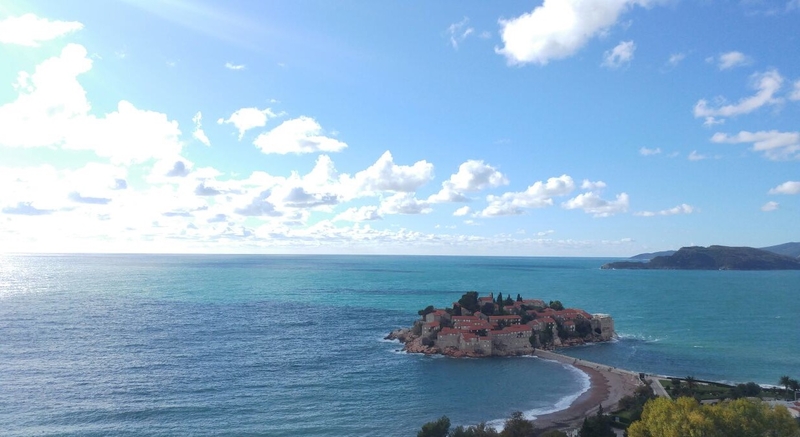 Sveti Stefan is well known all around the world as a popular town-hotel that is actually a peninsula attached to the coast with a short narrow path. On both sides of the path there is a nice sandy beach, all tidied up and beautifully arranged. Sveti Stefan is now recognized as a luxury spot, as Aman Resorts took over the peninsula a decade ago and built up this reputation. It is well known that Novak Djokovic got married on this very place! 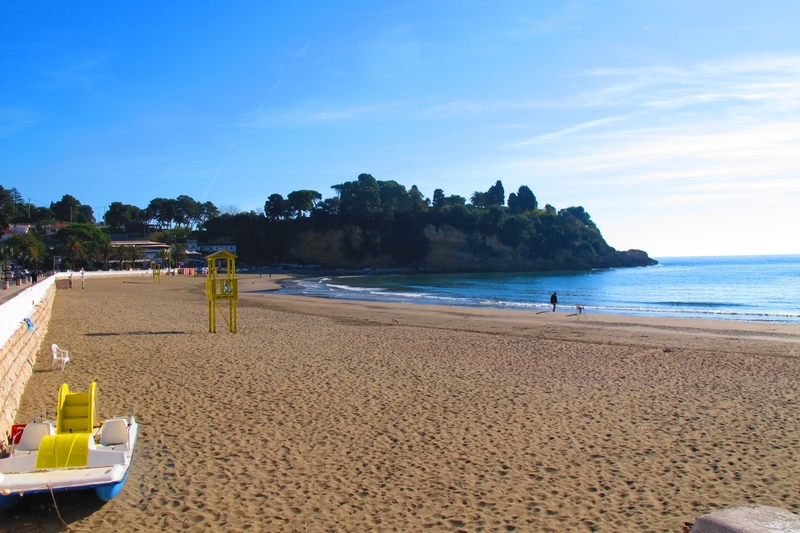 Back to the beach - strolling, swimming and sunbathing are great ways to relax here. Near the beach, in its hinterland, there are 2 amazing restaurants: Olive Terrace and Nobu Montenegro - places where you can enjoy delicious Mediterranean food, after a nice day at the beach! Besides the beach located directly by the resort, the area includes more than this. In the forests in the back of the peninsula, there is a famous Milocer Park that leads to the Przno Beach in one direction or Milocer Beach on the other one. Milocer Beach is located in front of Milocer Villa, also part of Aman Resorts, and this is where you can expect a high-end treatment, too. The beach itself is beautiful but mainly used by the guests from the Villa in the back. On the other hand, Przno is a very small, family beach, usually used by the people who are renting vacation accommodation in this small village. It’s a perfect family place, assuming that you have all of it in one spot – beach, supermarket, numerous restaurants, cafes etc. A lot of people like to have their dinner in this part of the coast and having in mind that this is an old fishermen village, all the catch is fresh and consumed shortly after it’s been caught! The beach is nice and sandy, perfect for families with kids, so in case you are described in this – you know what your spot in Montenegro is, to have the vacation this summer! 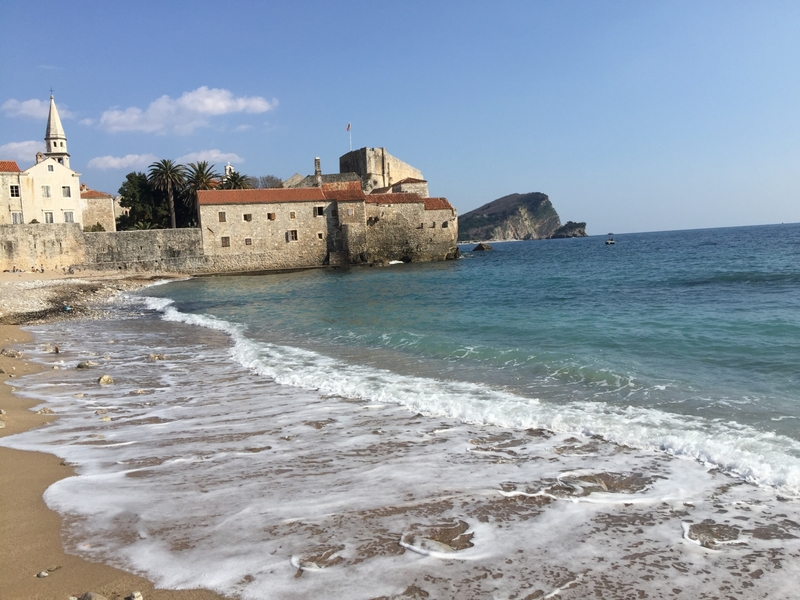 Budva Riviera is pretty long, so besides the ones mentioned above, you can check some of these below! 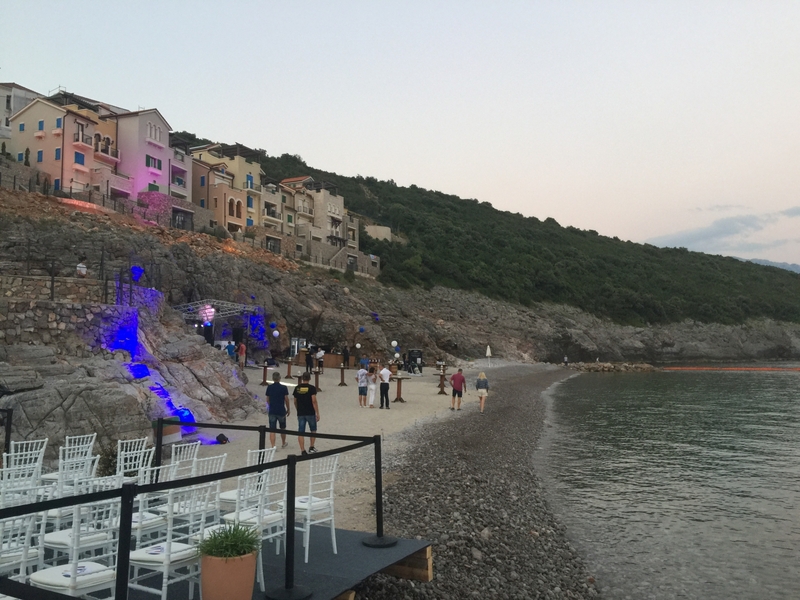 For the younger population, willing to party on the vacation, there are numerous beach bars on the Slovenska Plaza, located in the heart of the city of Budva. 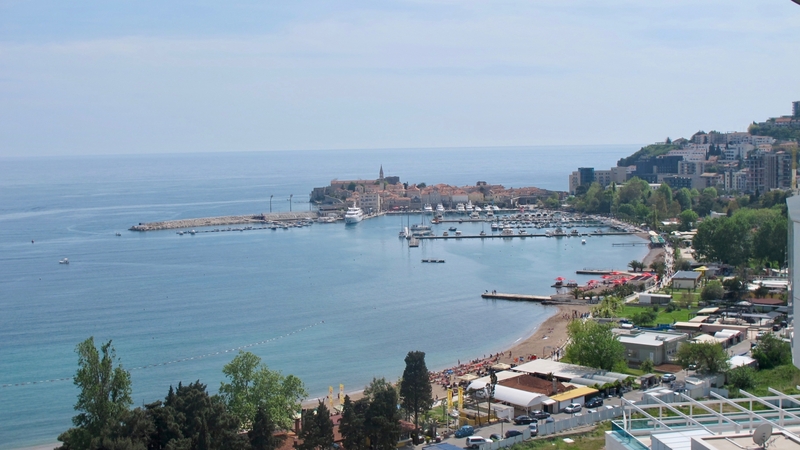 Close by, splashing the Old Town of Budva by its waves, Ricardova Glava Beach is located. It’s a popular spot even during the wintertime, not for swimming or sunbathing, but as a posh spot where people are spending sunny weekend days and doing a lot of Instagram shots. ☺ And they come from all around Montenegro and the region, especially for the New Year’s holidays! Practically next to this one, there is Mogren Beach. Cliffy, but beautiful, this is still a favourite spot for locals, who are spending the beach time here, hidden from the tourists and visitors. Of course, a lot of tourists explore, so they stumble upon this beach or somebody recommends it, and it became very popular in the last couple of years, especially for expatriates who feel as locals already! Mogren is a long beach interrupted by the edge of a rocky mountain in the middle. The beach looks more like two beaches that are connected by a small tunnel. One side is 80 metres long and the other 150 metres. It was named as one of cleanest beaches in the country, many times. 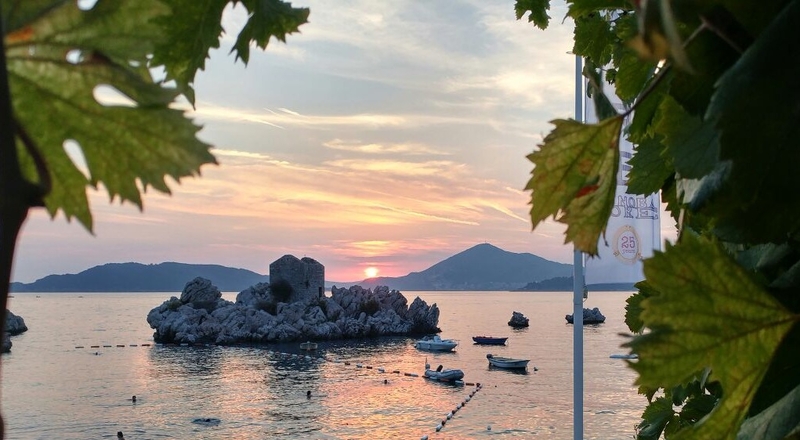 Just 2 kilometres from the city centre, towards Bar direction, there are several more beaches worth mentioning: Becici, Rafailovici, Kamenovo, Crvena Glavica, Drobni Pijesak, Perazica Do and Petrovac. Becici and Rafailovici are not clearly divided, but what is noticeable is that in Becici you can experience wide and spacious beach and in Rafailovici you get to a more intimate atmosphere, similar to Przno and best for families, as most of the hotels in this village are located directly at the beach, having their own private spots for their guests. Kamenovo is separated by cliffs from these two beaches and it forms sort of a bay. 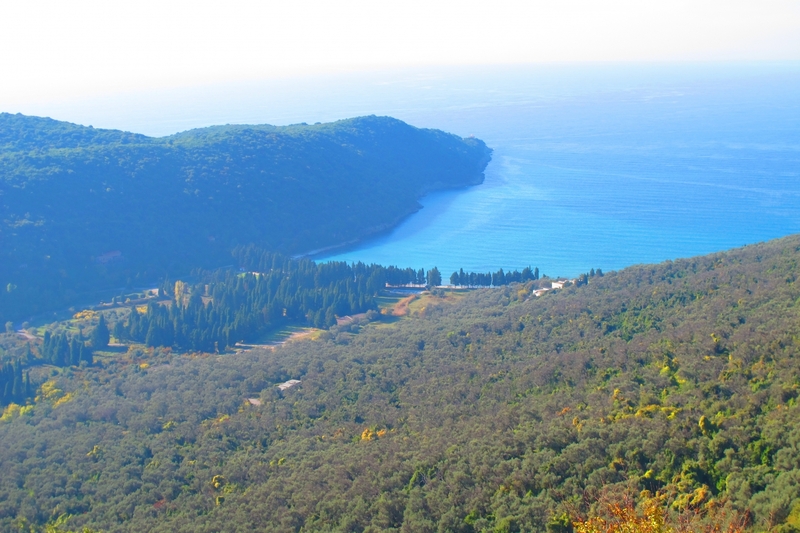 You can reach it by car or by boat and this area is well known for the fresh water, compared to the rest of the Budva Riviera. Kamenovo Beach is surrounded by rich vegetation, which makes this spot very interesting and most of the cafes and restaurants are actually located at the beginning of the forest, forming breathtaking natural shades and pleasant atmosphere for having meals. This beach works for everyone, but young people love it pretty much and some of the traditional parties are held here annually, such as Spring Break Montenegro. 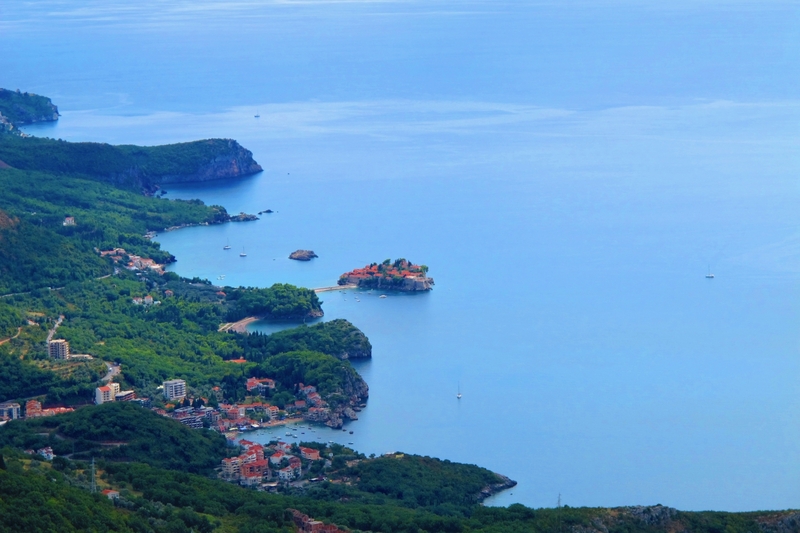 Crvena Glavica is a small place between Kamenovo and Sveti Stefan, which literally translated in English means Red Hill (Cliff). 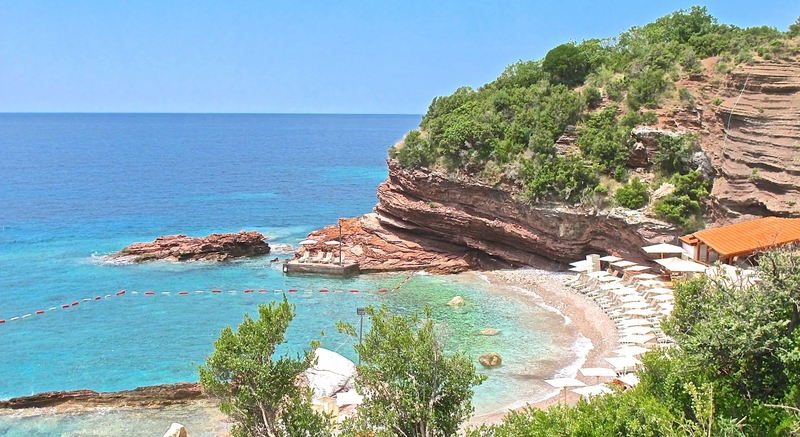 The environment will immediately explain the name of this beach, surrounded by red-stones cliffs, giving the sights that will mark into your memory! This is a camping spot, so in case you are a camping-soul, you can park here! The camp has all the basics needed and small beaches around it are numerous. Several of these are nudist-friendly; so don’t get confused if your neighbour on the towel next to you is naked! Just accept it or join them, if you are liberal enough! These beaches are not tidied up or arranged for massive visits, which is the most special thing about this place – only the selected ones can enjoy it! Considered by many as the most beautiful beach in Montenegro (if not the whole of Europe), Drobni Pijesak boasts clear waters and fine yellow-white sand. It is a secluded beach, which makes it perfect for tourists who wish to get away from the noise and chaos of the city. The usual sight from Instagram photos, you can expect to see here – the contrast in between the bright coast and turquoise sea! Perazica Do is closed to Petrovac and it’s a small but perfect beach! Here you have a beach restaurant and the sun beds and umbrellas are all made of natural materials. Perfect for a peaceful time with loved person or enjoyment with friends. 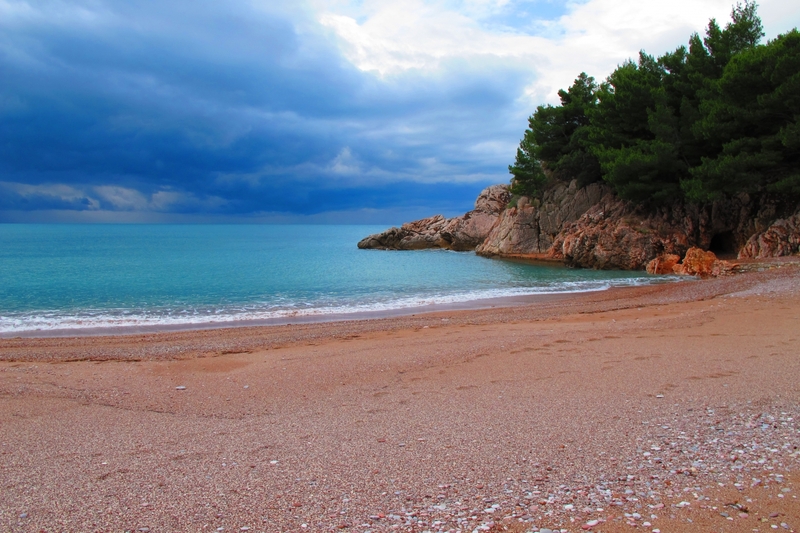 While Drobni Pijesak is distinctly yellow, Petrovac beach is red. Other than for its red sandy beach, this old fishing town is widely known for its old churches, harbour and monasteries, as well as modern bars and restaurants. It is also near the popular Skadar Lake, one of the top Montenegrin attractions, just half an hour drive. The Riviera of Bar is very rich with numerous beaches, so we recommend you to explore this area a lot, especially if you have a boat! 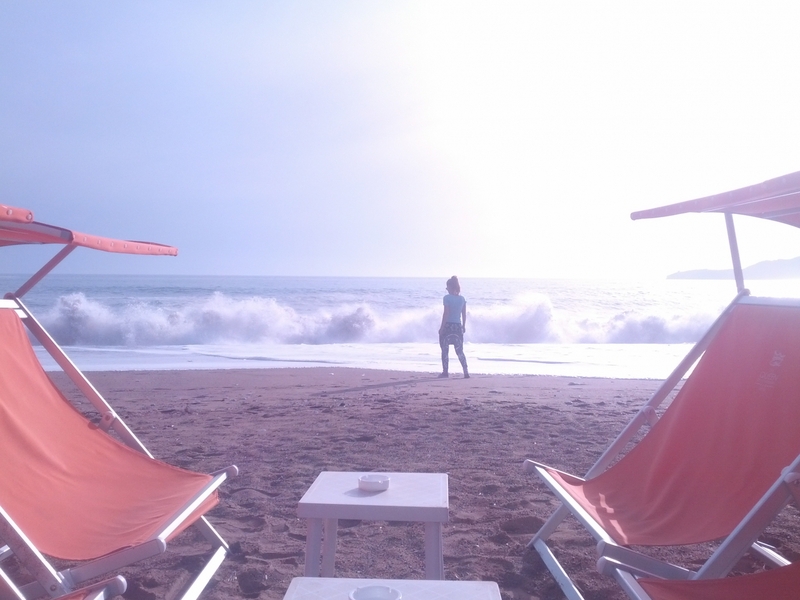 We will mention the most popular beaches, but we invite you to give us your recommendations too! The Sutomore Beach is a long, sandy beach, great for enjoying a real beach life! Swimming and sunbathing are what define this beach! Assuming that many hotels are located right at the beach, it is always crowded with hotels’ guests, so if you aren’t a crowd-lover we advise you to skip this one. The Ratac Beach is located in the entrance to the city of Bar, in the woods, hidden from the curious spectators' views. This made a rumour that this place is popular amongst gay population. Knowing that Montenegrins are not that liberal in accepting differences, gay people feel safer here than on some other public beaches! The beach in the town centre, close to the port, is usually visited by the locals, who are looking for refreshment after the work and who are bringing their kids here to enjoy. The city of Bar is the biggest port in Montenegro with a lot of hotels, so during the peak season, this beach is always crowded. Have this in mind when you decide to relax on the beach in Bar. 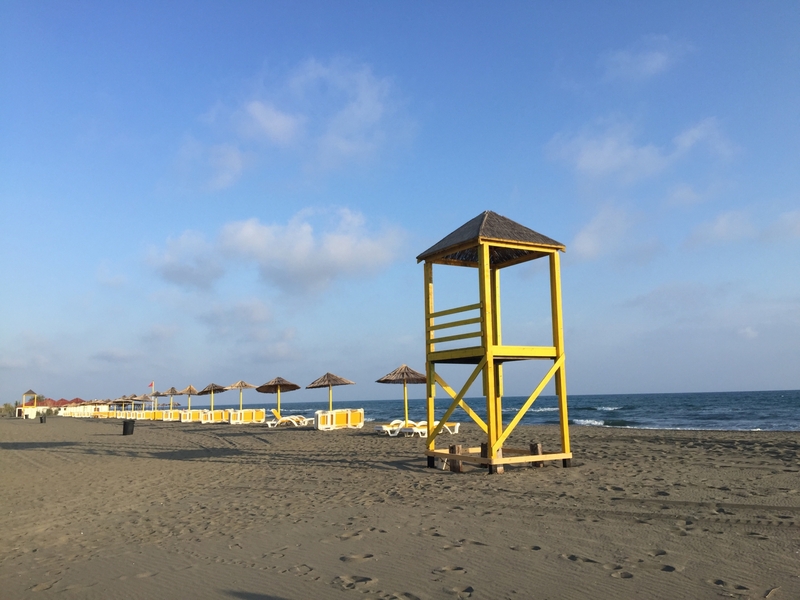 Going towards Ulcinj, beaches are getting wider and more sandy. There is a nice bay called Utjeha, worth visiting, as it’s a beach with olive-forests in the back and several camping spots too. The most frequent guests here are from Montenegrin diaspora and the region of Balkans. Veliki Pijesak beach is located close by and it’s very similar to Sutomore beach, as it’s crowded with hotels and numerous hotels’ guests are spending their time on this beach. Diaspora is very common here, too. 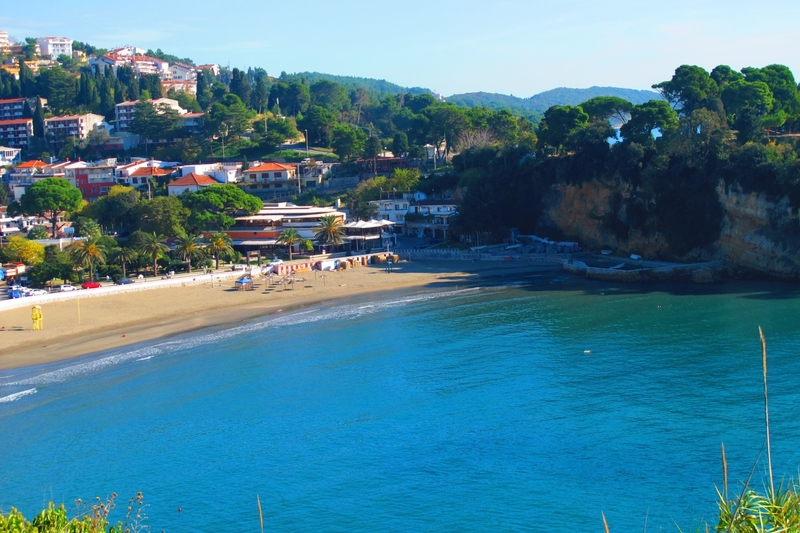 Ulcinj Riviera contains 2 beaches – Short and Long one, but also Valdanos Beach. Short Beach, or Mala Plaza, is located by the walls of the Old Town of Ulcinj and it’s crowded all summer long! It’s a place where tourist and visitors from the nearby hotels are spending their time. As Ulcinj is mostly a Muslim town, you can expect to experience different cultural influences that are also expressed in the beach outfits and behaviour. 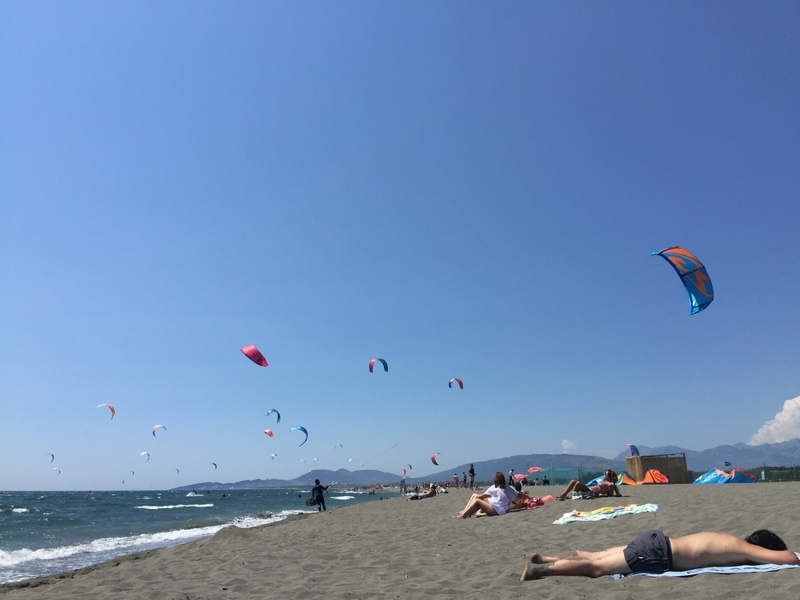 Long Beach, or Velika Plaza, on the other hand, is ocean-like part of the Montenegrin Adriatic and includes various activities from kite surfing to nudist camping on Ada Bojana. Long Beach is an enormous space, always under winds influence, which makes it perfect for water sports. 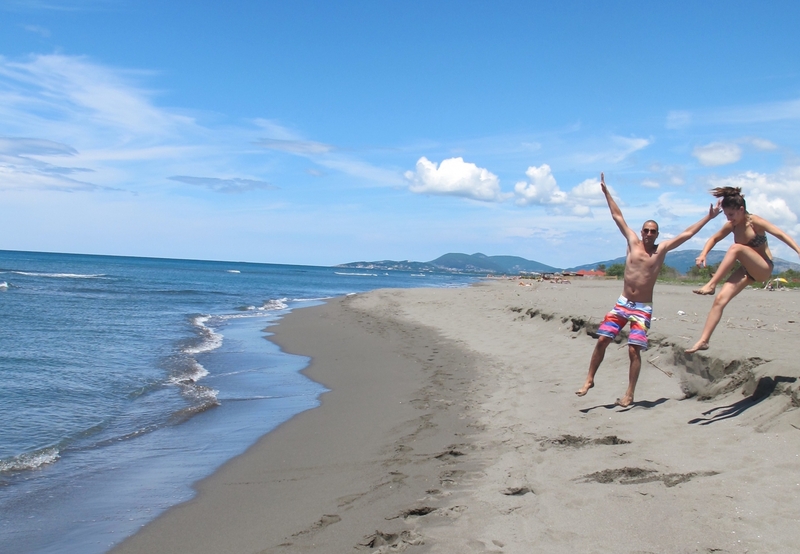 You will find many fully equipped beaches along this part of the coast and they all offer unique experiences! 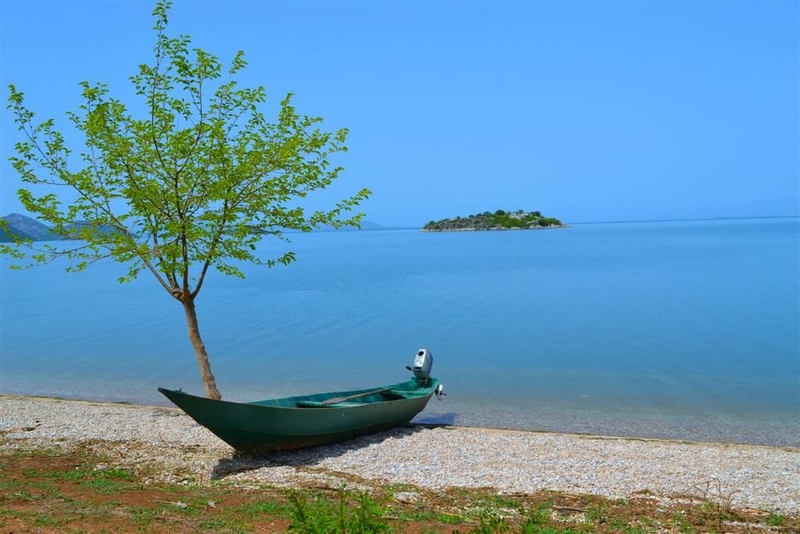 Ada Bojana is located very close to the border with Albania and it’s a river-island formed by river Bojana that flows into the Adriatic, pouring out from the Lake of Skadar. This place is best known for its nudist camp, dating back from the ex-Yugoslavia, but still in use and wonderful! Note that if you don’t feel like the nudist, you can still enjoy Ada Bojana, but just outside the camping area. There, you’ll experience a real wilderness and freedom! Valdanos is a small bay, tucked in the evergreen forest and barely known amongst the tourists. It was popular back in the Yugoslavian era but today is rather abandoned and not very popular. Besides, the beach is absolutely amazing and it’s craving for visitors who appreciate the silence and the pace of nature. Last, but not least, is the Bay of Kotor! Well known all around the world, as one of the most unique bays, picturing the real natural treasures of Montenegro, this bay is not really crowded with long, sandy beaches. 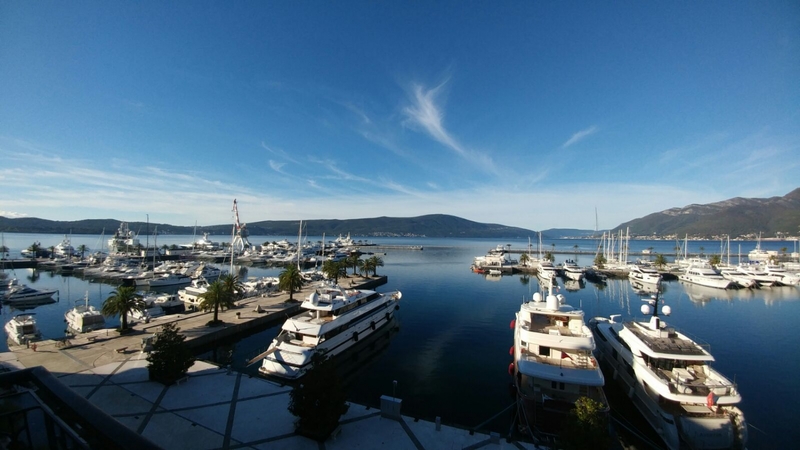 The bay is surrounded with steep mountains that look like they are jumping right into the sea, so here is more about docks and tiny private beaches rather than long sandy ones. The Bay of Kotor consists of 4 towns (Kotor, Risan, Tivat and Herceg Novi) and numerous small villages amongst which the most popular is Perast. Literally, on every step along the Bay you will be stunned by its beauty, small charming beaches and docks, with restaurants or beach bars. It’s a totally opposite kind of the tourist offer than the one mentioned above (in Bar or Ulcinj, but even in Budva). Less crowded and more classy, definitely! The Lustica peninsula, part of this Bay, has the most charming beaches such as Dobrec Beach, usually used by the Regent Porto Montenegro. The beach in the new village of Lustica Bay is also adorable. We recommend you to take a taxi boat, or use your own boat if you have it, and sail around this peninsula, because you’ll find so many hidden gems and small restaurants, serving freshly caught seafood. Another popular one in this part of the Bay is the beach Plavi Horizonti, probably the only sandy beach of this kind in the Bay of Kotor. All the beaches around the Bay are offering so much to experience, from exploring the hidden spots such as the Blue Cave to the amazing forts as Mamula and Arza, and finding your own secluded spot to enjoy! 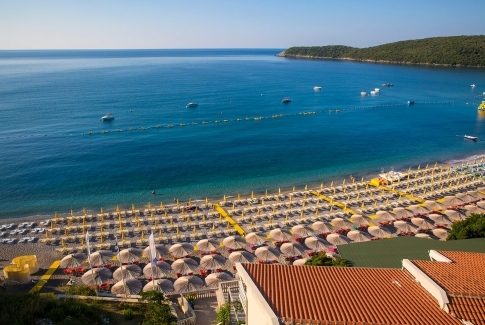 The Adriatic coast is not the only spot where you can enjoy swimming and sunbathing! Montenegro is extremely rich in lakes and rivers, and many of those are popular for summer activities. Let us mention you the biggest ones! Skadar Lake is a famous lake in the Balkans, attractive to all the visitors because of its unique flora and fauna. Sailing around with Zabes Holidays you can see many monuments and monasteries, but also some hidden villages that are no accessible by foot. 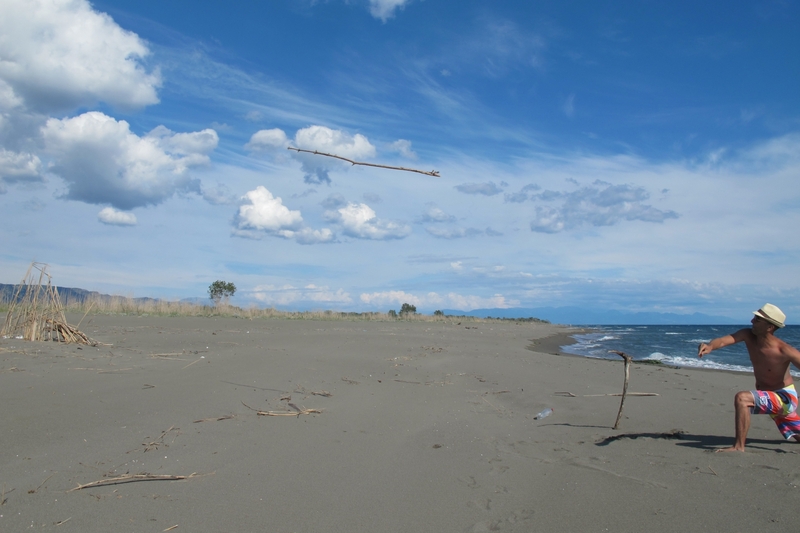 In one such place, people of Skadar Lake have put their efforts into adding some value, so Murici Beach was created. The beach existed naturally, but people made it more attractive by adding some sand and widening it up. 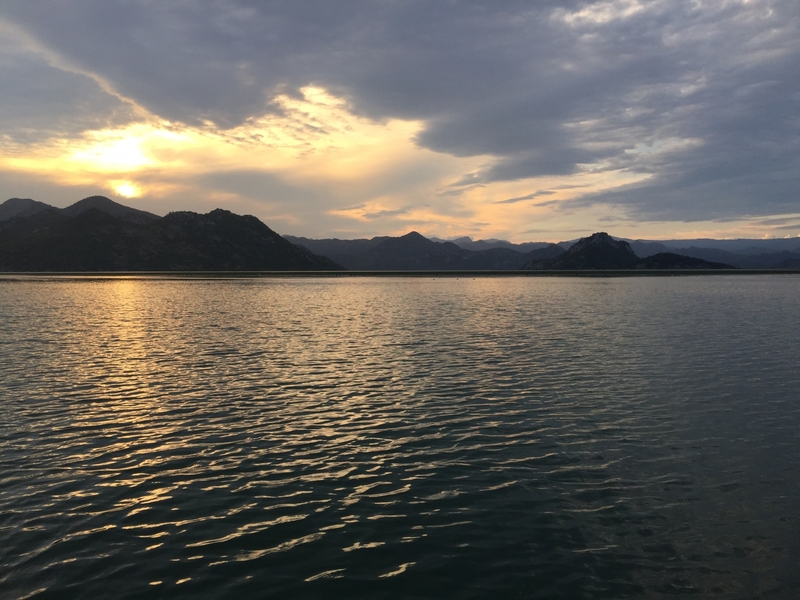 While sailing on the Skadar Lake, this beach is a favourite stop as all the visitors can get refreshed from the summer heat. Krupac Lake is very popular in Montenegro. Firstly, because it's known as the Niksic Sea and secondly because a big rock-festival, Lake Fest, is held here annually. Krupac is an artificial lake that looks like a bay, fenced by a dam on one side. This beautiful lake has two nicely arranged beaches, with volleyball court, a lot of greenery, a restaurant and cafe. Younger people like to hang out on the dam, too, jumping into the water, playing cards on the dam stairs and so much more! 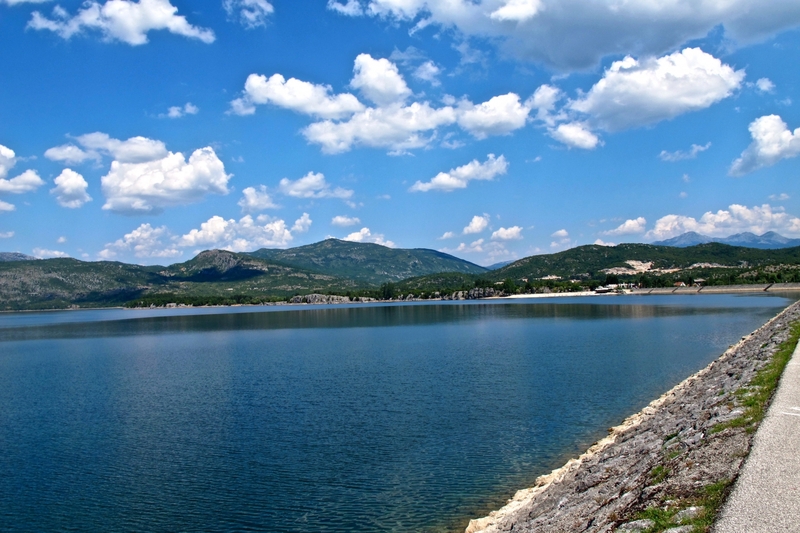 Going up north from Niksic, there is the Piva Lake, also artificially made one for the electricity production. This area gives an impression of being in the Alps and the small city of Pluzine, located just on the lake, is frequently called Switzerland. The citizens of Pluzine, together with the city authorities, have made a beach on the lake a couple of years ago, that became very popular for swimming, diving, sunbathing, savouring the nice summer weather. 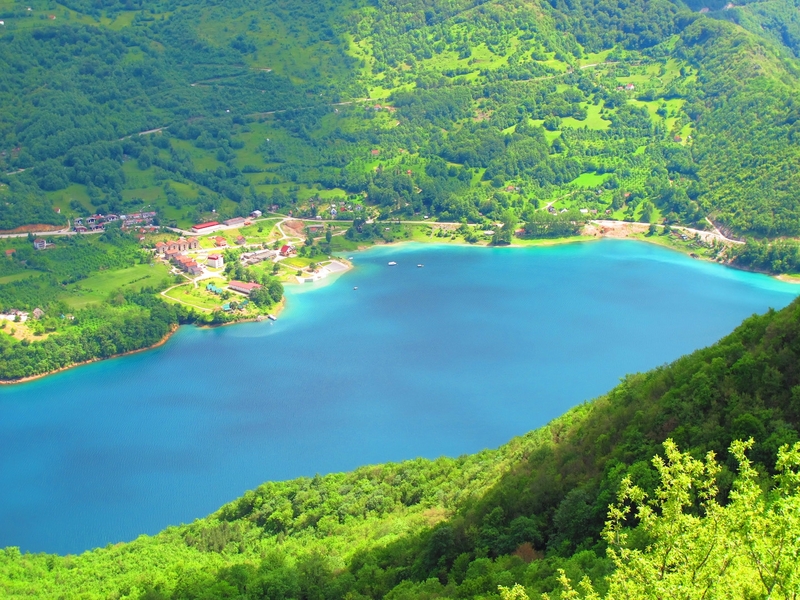 So, if you happen to pass by this town during the summer, remember that you can experience swimming in the beautiful Piva Lake and don't skip it! In case you are looking for some more recommendation, don't think twice - contact us right away!